In 2007 the private equity firm Leadgate purchased 75% of the Uruguayan national airline Pluna for $15 million (the other 25% remained nationalised). The airline originally flourished under the three Argentinian co-founders of Leadgate but an unfortunate series of external events crippled their investment resulting in its renationalisation in 2012. Problems started in 2011 when the Argentine government imposed strict capital controls as part of their protectionist policy. This prevented Pluna from accessing capital earned in Argentina to pay for essential upkeep. Added to this was the election of José Mujica as president of Uruguay the year before. Mujica was a guerrilla rebel jailed for 13 years during the country’s military dictatorship and held fiercely anti-capitalist views. The Argentine government renationalised the country’s flagship airline (Aerolineas Argentinas) during this this period, providing fuel subsidies to cut costs. Aerolineas Argentinas was Pluna’s main regional rival but the hostile Uruguayan government under Mujica refused to match the Argentinian fuel subsidies. Added to this the Brazilian company Varig which part-owned Pluna prior to nationalisation went bankrupt and their aggressive trade union started litigating for compensation against all potential targets, including Pluna. This was a fatal drain on Pluna’s already fragile cash reserves. 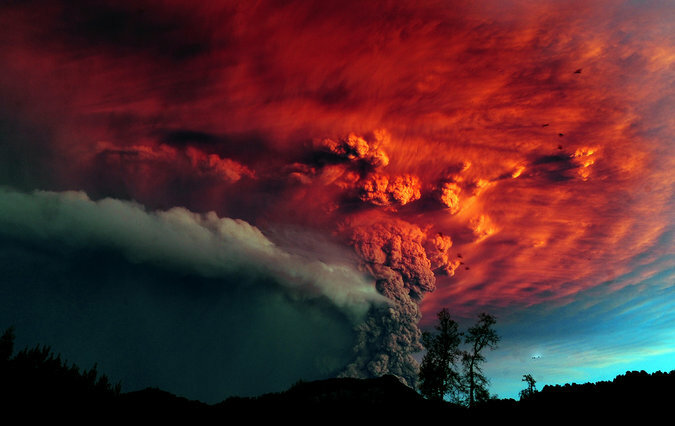 Then disaster struck; Puyehue volcano in Chile erupted, suffocating airline revenues in the region with a cloud of ash. As a result Leadgate returned their 75% share of Pluna to the Uruguayan government in 2012, writing the investment off as a loss. Despite signing indemnities exempting them from any liability; the three founders of Leadgate were arrested in 2013 but held without charge under accusations of fraud. The chief executive, Matias Campiani, was released at the end of May 2015 due to an article published in the New York Times. The issues Pluna faced prior to bankruptcy illustrate that regional politics remains a crucial factor in the success of foreign investments. Black swan events such as volcanic eruptions may be unavoidable but polarised election results are not a new phenomenon in this region. Any investment project with a sovereign state as a partner must take into account local politics especially in countries which have seen recent military dictatorships. Argentina’s protectionist policies could be seen as predictable given their recession in the early 2000s and their current debt crisis. The bankruptcy of Brazilian company Varig and its effect on Pluna, an Argentinian-managed Uruguayan company, shows the symbiotic relationship of companies in the region. Despite the anti-capitalist view of Mujica; Uruguay remained an attractive FDI prospect during his tenure. In 2011 Uruguay had the second highest FDI per GDP per capita in South America, behind Chile. In April 2012 Standard and Poor assigned Uruguay the investment grade, followed shortly afterwards by Moody’s and Fitch. In the same year FDI in Uruguay was $2.8bn (5.4% GDP). It will be interesting to see the new Uruguayan president’s (Tabaré Vázquez) policies on foreign investment. Also published on Peru This Week. This entry was posted in uruguay and tagged latin america, private equity. Bookmark the permalink.